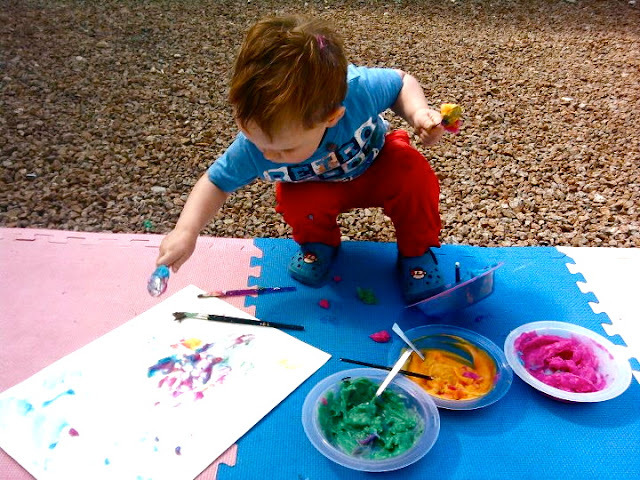 This recipe came from the Imagination Tree; perfect for babies and toddlers who just cant resist having a taste of whatever they are playing with! 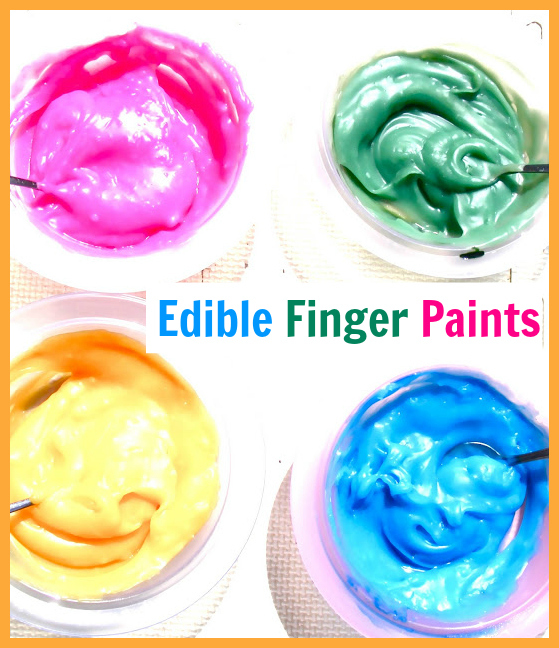 This edible finger paint is really easy to make, fantastically gooey, and provides a truly tactile painting experience. For the recipe, hop over to The Imagination Tree's post. 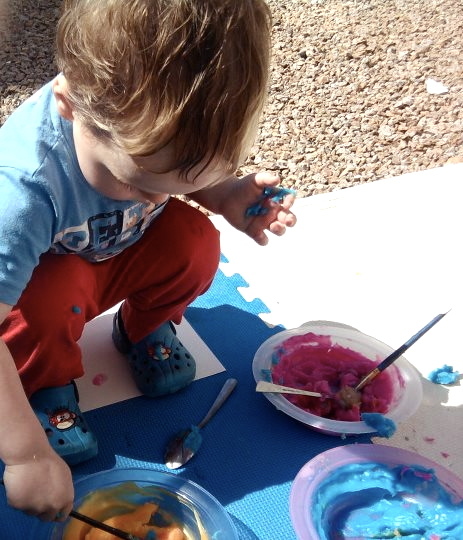 First mix the cornflour and cold water together, then add a cup of boiling water at a time and stir between each one, then keep stirring until you get a wonderful white goo, which is itself a great messy play material to play with. 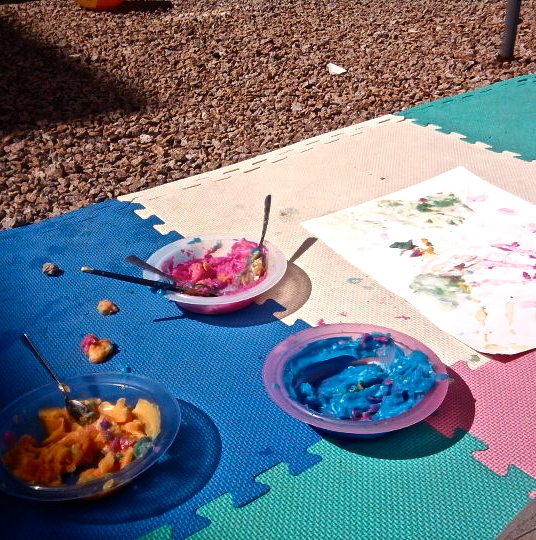 You can then divide the mixture into as many different bowls as you like and add a different colour to each one. Because of the white base mixture the paint has a nice milky/pastel-y tone to it which is different from most other paints, and it has a more sculptural feel on the paper too so its a great sensory alternative from ordinary painting! Completely washable too! how long does this paint keep for and how should i store it ??? I stored it for a few days in the fridge, sealed. It will last just 2 or 3days out of the fridge, and a week or so in the fridge before it goes horrid! I was just wondering if I could make finger paint instead of buying it. Yeah!! Does the painting actually last though? I mean is it able to be framed or will it go bad too?? Very cool, I have some corn flour that I never use. Thanks for sharing. New follower, Hope to see you at True Aim. Thanks for commenting and following Janine! Ill be sure to visit your blog too!